Working with Seattle based developer Hardsuit Labs, Paradox Interactive has announced the long-awaited sequel to Vampire: The Masquerade Bloodlines, aptly titled Vampire: The Masquerade Bloodlines 2. For a while now, Paradox has been teasing a game using an ARG built around the dating app Tender. And over the past week, activity on the company's Twitter account has increased, promising an announcement of some sort. Since many were aware that Paradox purchased the rights to the World of Darkness games from CCP games in 2015, it was suspected the announcement would be something related to Vampire: The Masquerade games. That was further reinforced by images shared on social media. Now we know. 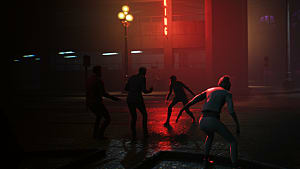 Bloodlines 2 is a direct sequel to the original game, although it takes place in a different city: Seattle. Based on what's been shown, Bloodlines 2 will, understandably, be a bit different than its 15-year-old predecessor simply by proxy of the evolution of technology. That said, Hardsuit Labs has brought on the lead story writer from the first game to work on the new project, Brian Mitsoda. Mitsoda confirms the game will feel like a Bloodlines game. As far as what will be different in Bloodlines 2, it seems the game will have a larger scope and offer players more in the way of choice. Everything from who the player was before becoming a vampire to the faction and clan they choose to be part of and choices made during gameplay will affect the story. New mechanics have also been added and combat has been improved. 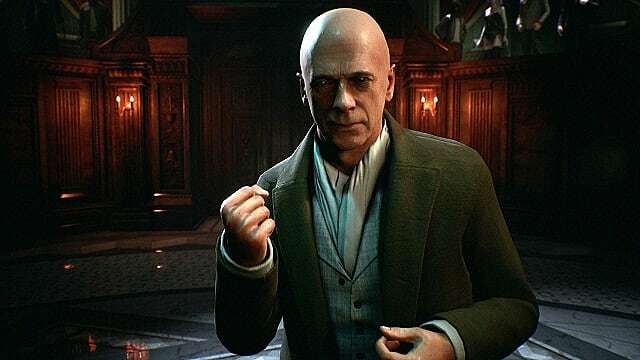 Bloodlines 2 isn't due to release until the first quarter of 2020, but players can pre-order the game now via the game's official website, as well as on Good Old Games, Steam, the Epic Games Store, and the Paradox store. The game will also be available on the PS4 and Xbox One. Console pre-orders are not yet live.